Lots of people like bourbon, but Morgan Weber likes it a lot. 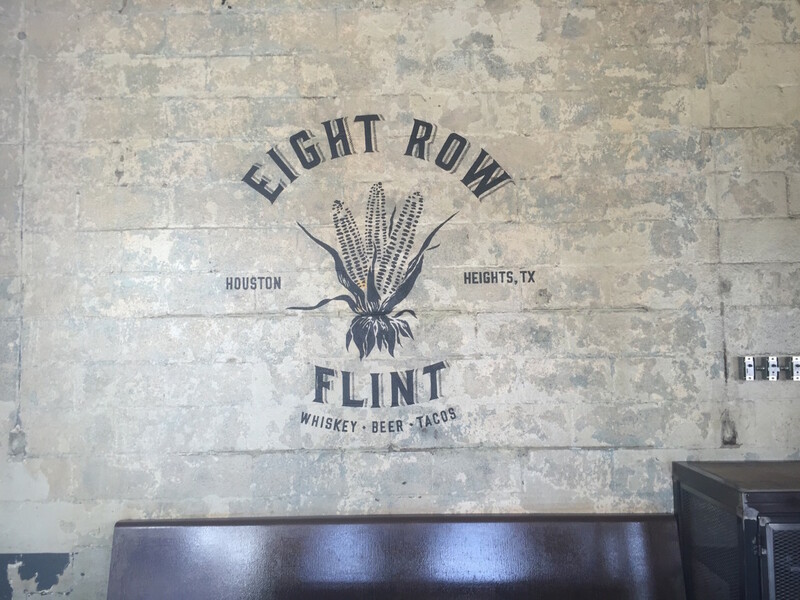 As one of the principles in Agricole Hospitality, the Heights-based restaurant group behind Revival Market, Coltivare and the soon-to-open icehouse Eight Row Flint, Weber has been among the spirit's most passionate local advocates. Yes, the bar will sell chips, queso and tacos from an onsite food truck with recipes developed by Agricole partner Ryan Pera and culinary director Vincent Huynh that use high-quality, locally-sourced meats and vegetables consistent with the standards set by Revival and Coltivare, and the former Citgo station has been transformed with a rustic, industrial-style interior and expansive patio. 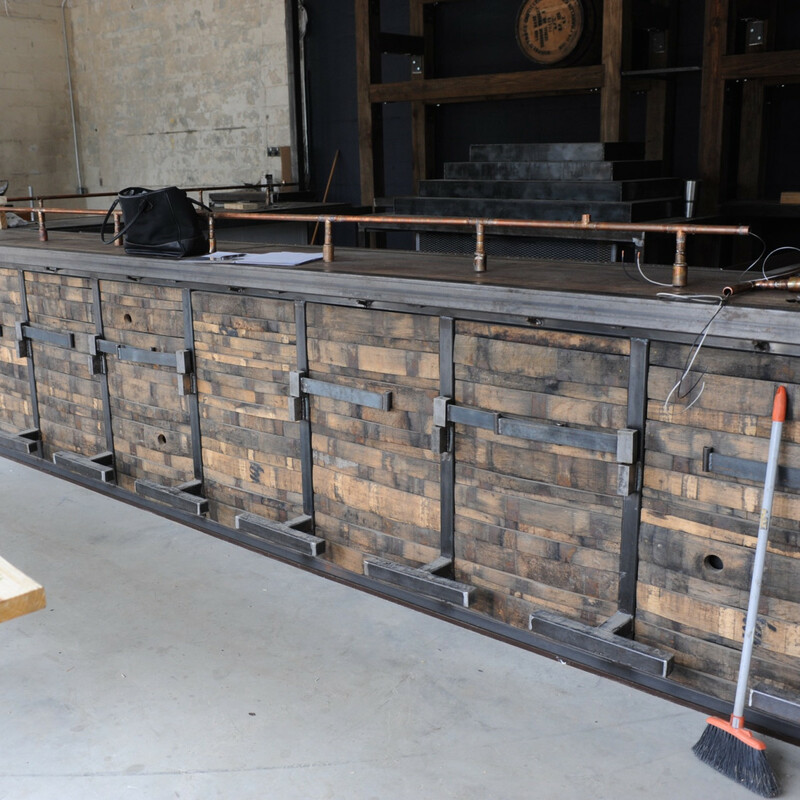 The bar will feature a host of both frozen and carbonated cocktails that are designed to maintain craft levels of quality without the wait. It even has 45 parking spots, which anyone who's struggled to find street parking near Coltivare will certainly appreciate. 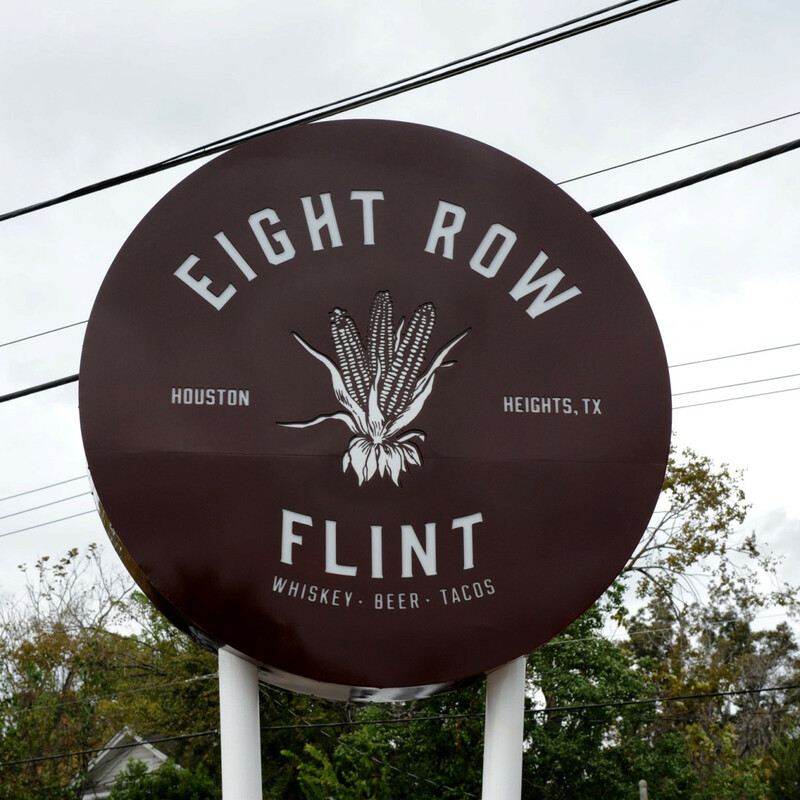 All of those aspects will generate plenty of conversation after Eight Row opens. However, on this particular day, Weber wants to talk about bourbon, and why deny a man the opportunity to expound on a subject that he describes as an obsession? 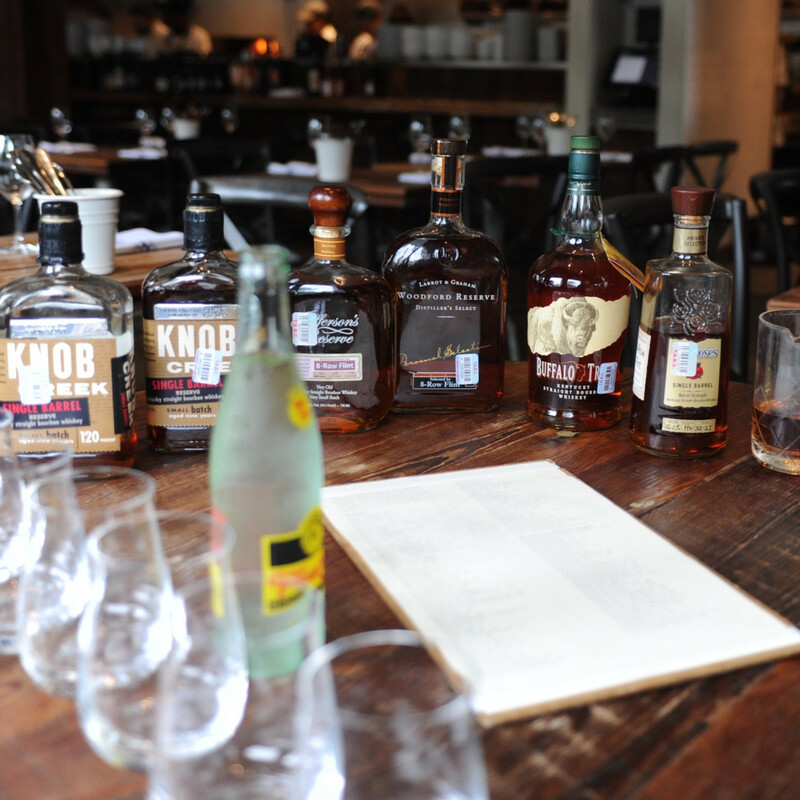 Eight Row will open with over 100 bottles of whiskey (mostly focused on bourbon), which dwarfs the selection at Coltivare. Still, it isn't the bottles that's going to set it apart from other top whiskey bars like Julep, Poison Girl and Reserve 101. 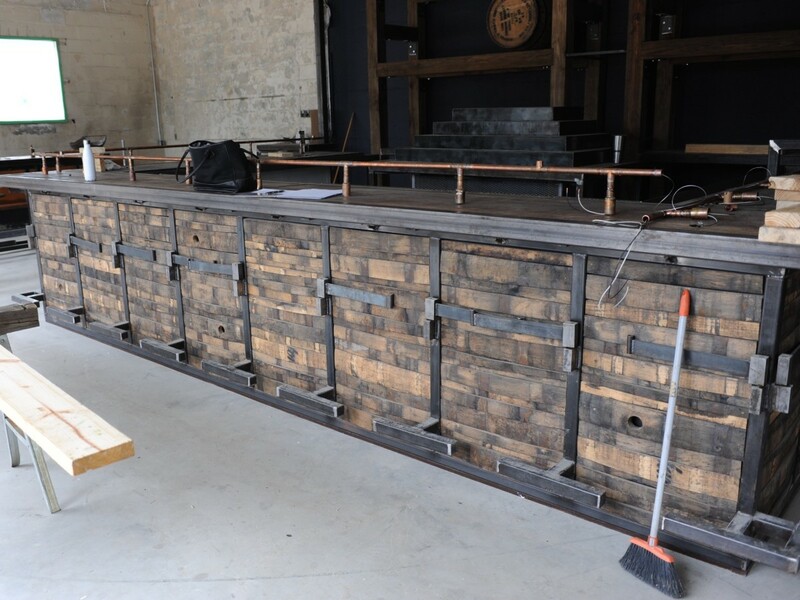 Rather, it's the six carefully selected barrels of bourbon that will be displayed on the back bar and poured via a custom-designed tap system that will send bourbon heads to the icehouse. 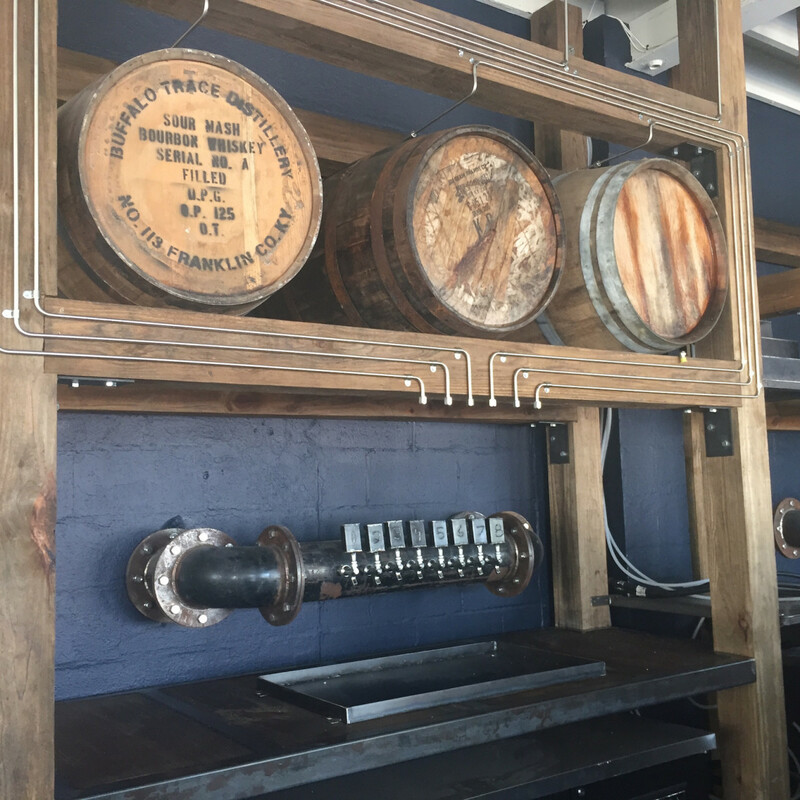 To keep everything legal, Weber had to purchase the barrels through their distributors, have the liquor bottled to meet TABC tax requirements and then poured back into the barrel. The six selections will be available as shots, flights or in cocktails. 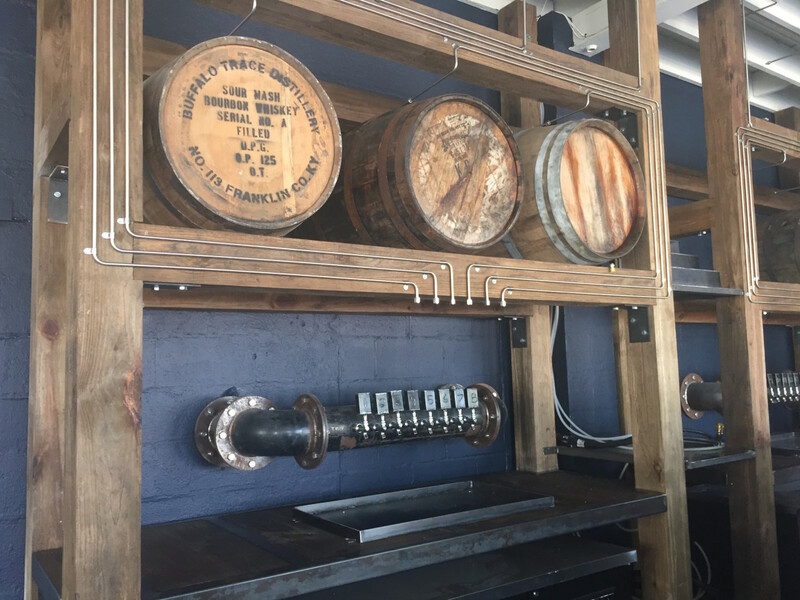 Ultimately, Weber anticipates offering 8 to 12 barrels at a time, but he had to verify that plan would work without, as he says, "screwing up $80,000 worth of bourbon." He turned to Dave Pickerell, the master distiller for craft whiskey maker WhistlePig, for a little advice. "I asked if I need to abandon the idea of pouring these bourbons back into the barrels. Am I going to run the risk of screwing up the bourbon, or is it going to help," Weber recalls. "He said the heat and temperature swings are what really shape the bourbon. "If you were going to put it in a metal shipping container in the middle of a pasture and just let it do it’s thing, I would say don’t do that. (Because it’s temperature controlled) the bourbon should age gracefully for the next couple of years, but it is an experiment." One that, in theory, could end one day when Weber finds the bourbon in the barrels has begun to taste differently than he anticipates. Should that happen, it all goes back into bottles. Until then, no place in Houston offers the system or the same kind of opportunity to taste bourbon that suits one man's palate. "What I’m interested in is 'Oh, that smells like the baseball glove I had in Junior High.' I’m thinking about what makes this different from the next one," Weber explains. 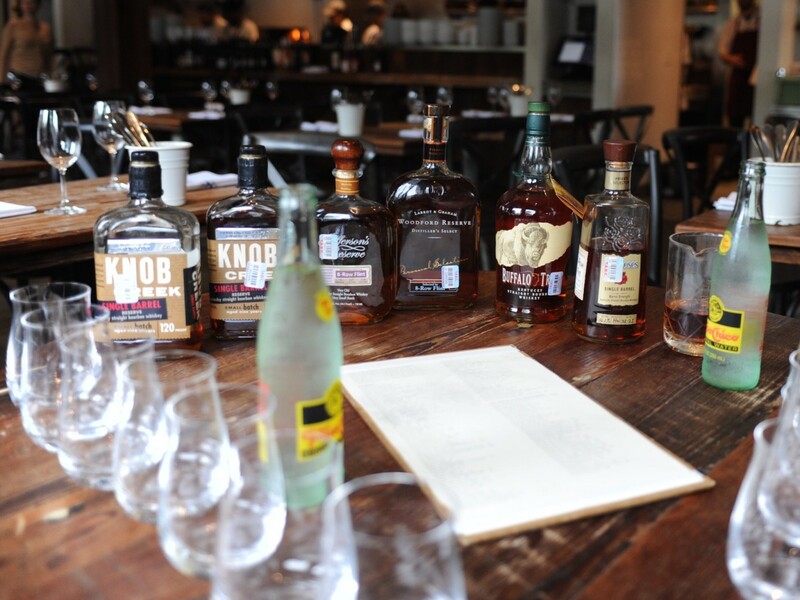 "I think with a lot of the brands on that wall, modern bourbon has become ubiquitous and driving towards an easy-drinking idea versus a more interesting idea. If I’m going to commit to a whole barrel, I want it to be unique and interesting. If not, why not just go buy the bottle on the wall?" Weber has gone far enough down the bourbon rabbit hole that he's even learned which warehouses at which distilleries suit his palate. "Warehouse K on the Beam property puts off bourbon that tastes like peanut butter. That has become a non-desirable taste for me personally," he says. "A lot of what Willet releases has those real nutty, peanut-buttery characteristics, so it’s definitely personal preference. I tend to shy away from bourbons that taste that way." Of the barrels, Weber is most excited about a the Woodford Reserve he helped create by blending the contents of four barrels. "I would say it’s just so unlike any bourbon I’ve ever had, because it doesn’t taste like bourbon. It smells like a slightly petey, rye whiskey," he says. Weber sourced other barrels from Four Roses, Eagle Rare, Jefferson Reserve and Knob Creek. Those who follow Weber on Instagram know his collection is still growing. Last week, he and bourbon legend Preston Van Winkle tasted through options to pick a barrel of Weller Antique 107. Still, he realizes he has a lot to learn. "I have never felt more infantile in my bourbon knowledge than when talking with Sean Brock," he says. "The next weekend we got to hang out for a little longer at the Southern Foodways Alliance. The amount of knowledge he just has floating on the top about all this — that’s another world, man. Mostly what we talked about was antique bourbon." 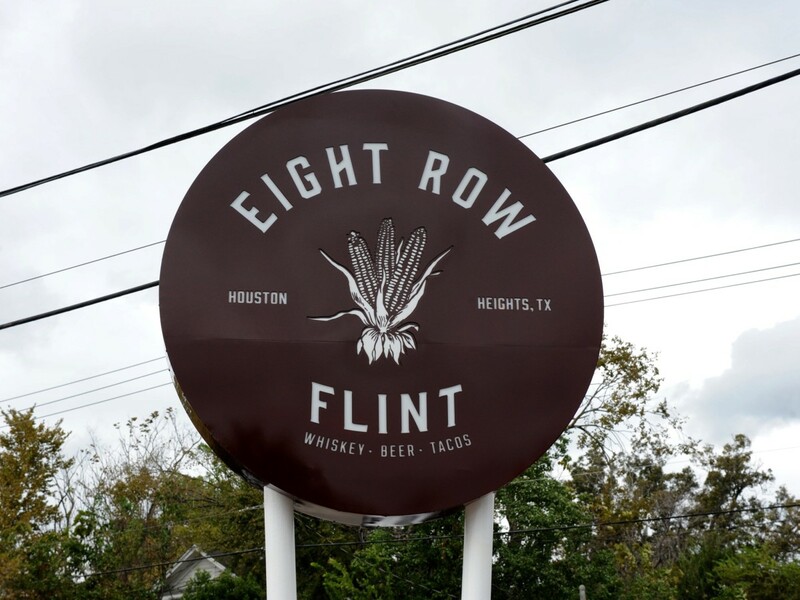 Weber can't offer antique bourbon, or "old dusties" in the parlance of collectors, at Eight Row, but he's trying to convince the TABC to change its stance. Until then, he'll keep his finds from obscure liquor stores in the Texas countryside to himself. Maybe that's for the best. 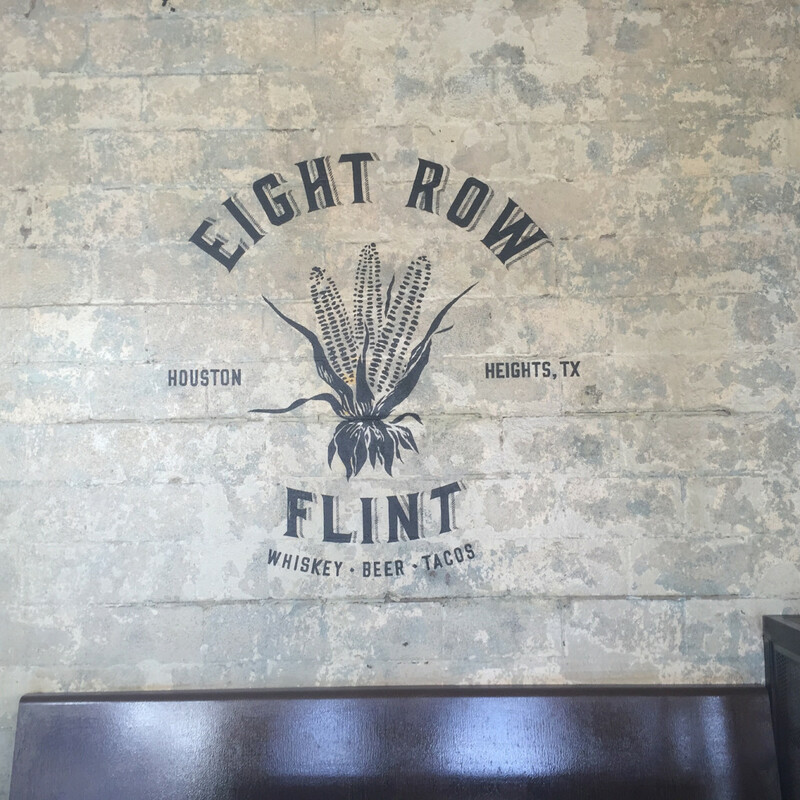 At least for now, he's given Houstonians plenty of things to drink when Eight Row finally makes its eagerly anticipated debut, hopefully before Christmas.